Food, Wine and Chocolate are essential components of a Valentine’s Day celebration. After all, the way to a man’s (and woman’s) heart is through his (her) stomach, as they say. 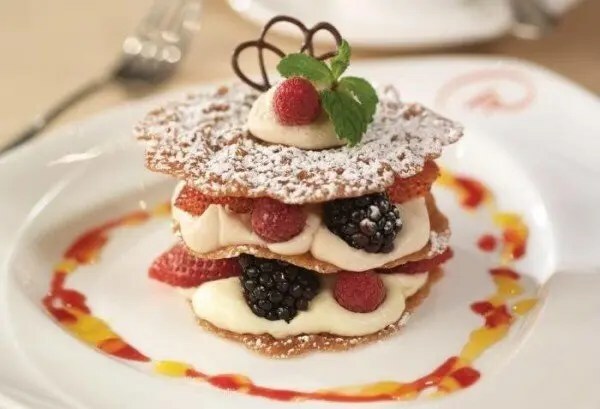 There is nothing more romantic than sharing a delicious meal with your sweetheart and there is no shortage of events and special packages for foodies to celebrate Valentine’s Day in Orlando. 1. GO Travel through Food! Ready to GO Travel Through Food at American Q! 2. GO For a Unique Dining Experience! 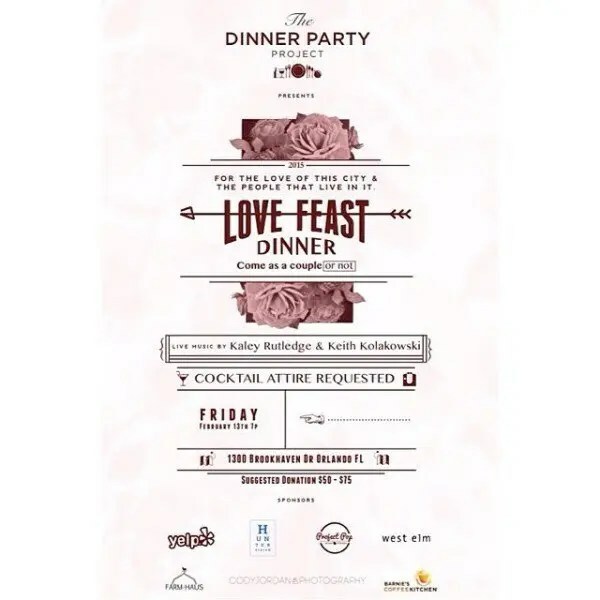 ^ The Love Feast hosted by The Dinner Party Project is an invitation-only dinner party created to connect locals over great food and conversation. On February 13th, 60 guests are invited to commune at 1300 Brookhaven Drive in Orlando beginning at 7 p.m. For a suggested donation of $50-$75, guests will experience a locally-sourced four-course dinner prepared and executed by Farm-Haus, with desserts from Project Pop, Baked Goodies & A Fine Adventure. Filled to the brim, Barnie’s CoffeeKitchen will serve up coffee, along with craft cocktails from Old Forester Bourbon and lots of wine. Adding to the mix is live music by Kaley Rutledge & Keith Kolakowski, in addition to an interactive photo booth by Cody Jordan. Request your invite via email [email protected] If they sell out, be sure to reserve for the next date. This is a unique experience not to be missed. ^ Experience a couples cooking workshop at An Aphrodisiac Affair with Chef Francis Biondi, from FOX’s MasterChef Season 5 on Friday February 13, 6:30pm-8pm, as he teaches you how to create a three course meal filled with aphrodisiac ingredients. $35/pp. Aggressive Appliances, 617 Mercy Drive, Orlando FL. 3. GO For Romance at the Park! 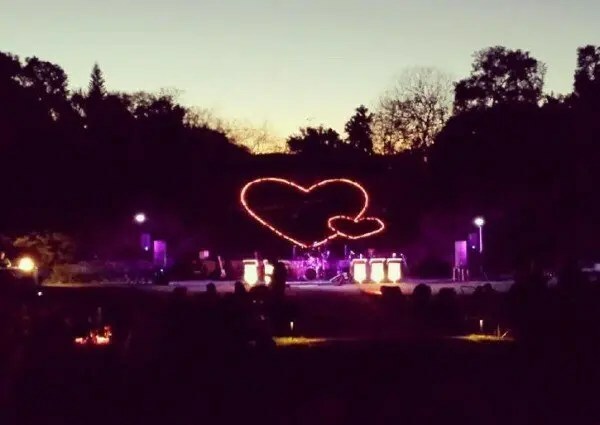 Celebrate Valentine’s Day in Orlando with a romantic evening stroll as luminaries light your way around the idyllic Leu Gardens. Pack a picnic and your favorite bottle of wine and enjoy performances under the moonlight by Ricky and the Buzzcatz, Daniel Heitz Band and The Shed Hounds. 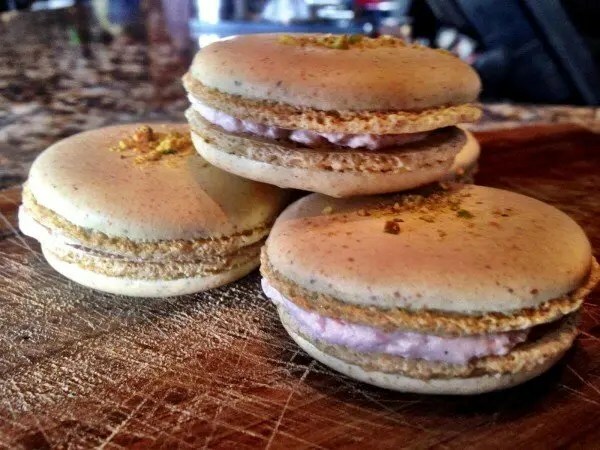 My favorite bakery, Se7en Bites and Jazzy Java will be selling delicious desserts and coffee. Don’t forget chairs or blanket. Saturday February 14, 7pm-10pm. Advance tickets $17pp / $22 at the door. 4. GO For the Love of Wine! 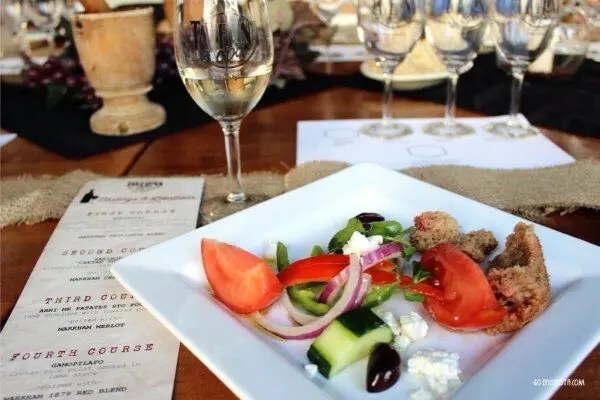 Wine and Valentine’s Day in Orlando never tasted so good at these fun events sure to please the wine-lover in your life! 5. GO For the Love of Movies! Sharing popcorn and watching a movie is a classic date-night. Why not make it even more special at one of these events? 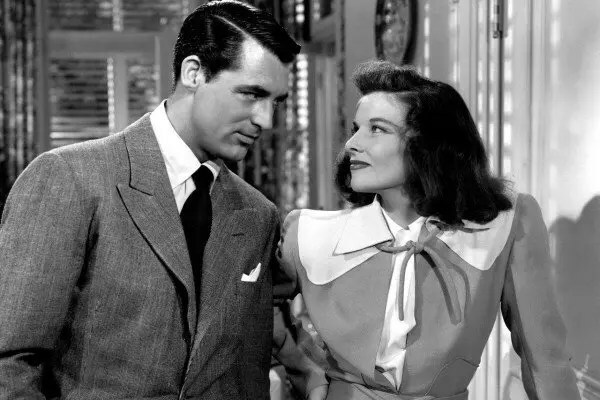 ^ Pack a picnic and head to Winter Park’s picturesque Central Park for Popcorn Flicks on Thursday February 12 for a showing of the romantic movie classic The Philadelphia Story. Free admission. 251 Park Avenue South, Winter Park FL. ^ Catch up on all the Academy Award Best Picture nominees at AMC Oscar Best Picture Showcase, Saturday February 14 and February 21, 10am-7pm at AMC Altamonte and AMC Downtown Disney. $30pp for all four movies, played back to back. Feb 14: The Grand Budapest Hotel, Whiplash, Birdman, Selma. Feb 21: Boyhood, The Theory of Everything, The Imitation Game, American Sniper. 6. GO For Classic Fine Dining! 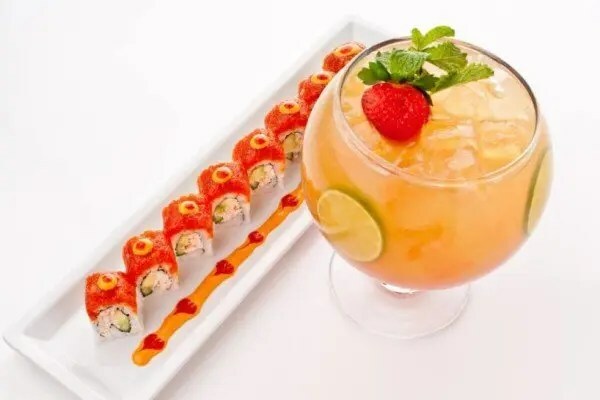 These Orlando Restaurants have been providing the best fine dining experiences for decades and have all won multiple awards including most romantic restaurants in Orlando. Reservations may be tough to get on Valentine’s Day but they are definitely worth it. Better yet, why not surprise your sweetheart with a romantic dinner “just because” on any other day? Definitely bound to win you some brownie points. ^ Chatham’s Place, a hidden gem well-known by locals, offers charming ambience and impeccable fine dining service led by Maitre D’ Maurice Colindres in addition to Chef Tony Lopez delicious dishes, many of which feature ingredients grown in his farm. 7575 Dr. Phillips Blvd, Orlando FL. 407-345-2992. Christner’s menu is worthy of celebration! 7. GO for the Ultimate Foodie Experience! 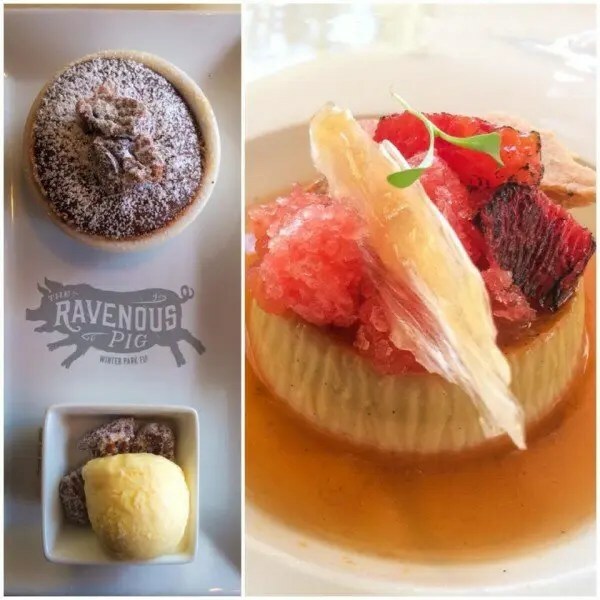 Orlando has a thriving culinary scene with restaurants getting national attention as a result of their inventive menus using local ingredients and dedication to a high quality hospitality experience. 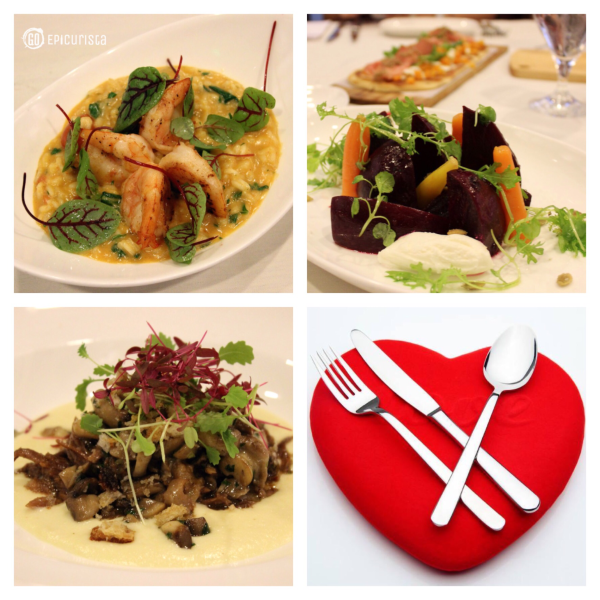 Dining here on Valentine’s day (or any other day) will be a gastronomic experience! 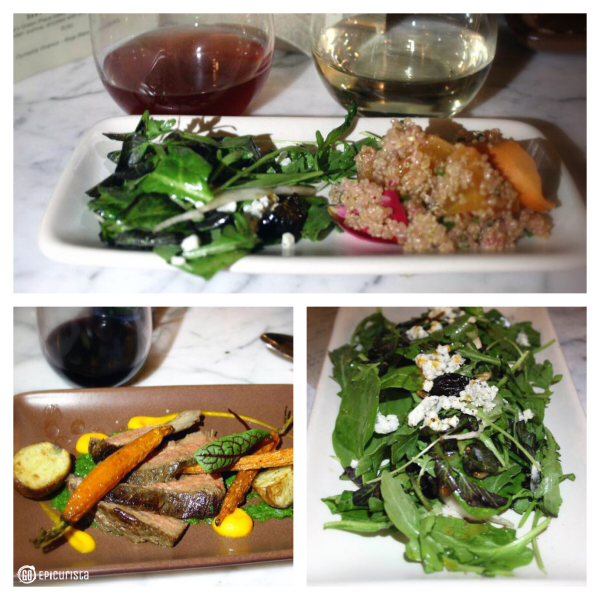 ^ The newest Foodie sensation is Chef Greg Richie’s Soco in Downtown Orlando’s Thornton Park. 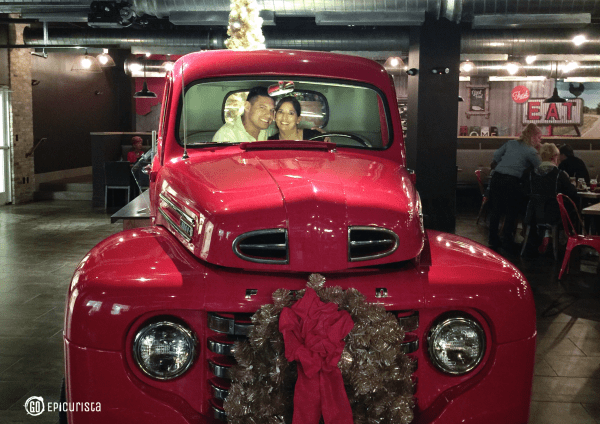 This Southern Contemporary eatery is bringing out the sensual side of the holiday with a Southern Aphrodisiac menu, featuring items like Potato Chip Crusted Chocolate Cake with peanut butter brittle and salted caramel. Pair it with a Valentine’s Day-exclusive Frisky Whiskey cocktail crafted with Four Roses Whiskey, chocolate bitters and a cherry heart that will send you to Epicurista heaven. 629 East Central Boulevard, Orlando, FL. 407-849-1800. 8. GO Get a Room! Why not make a weekend getaway out of Valentine’s Day in Orlando? These beautiful hotels are offering packages that will certainly set the mood for romance. ^ The Alfond Inn From the Heart package includes two-nights in a classic room, bottle of champagne in your room, Chef’s four-course tasting menu with wine pairings at the popular Hamilton’s Kitchen restaurant, romantic amenity and turn-down service, and complimentary valet parking. 300 East New England Avenue, Winter Park FL. ^ The Grande Lakes Resort is offering a variety of options to sweeten your Valentine’s Day in Orlando. Enjoy a four course dinner at award-winning Chef Norman Van Aken’s flagship restaurant Norman’s with mouth-watering four-course menu Featuring mango barbecued grilled cobia, sweet mustard marinated Palmetto Creek Farms Pork Chop and pan seared Filet mignon, $150/pp. Check out the Southern-inspired sweetheart menu at Highball & Harvest including crafted Love Potion cocktails. 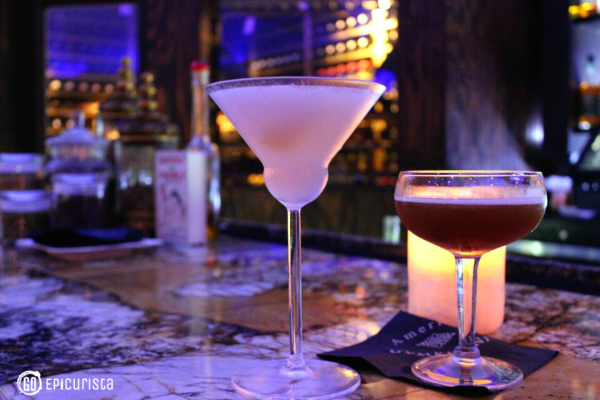 Cap of the evening with jazz entertainment and a Dessert Buffet in the Lobby Lounge from 8pm-midnight, $25/pp. For Norman’s call 407-393-4333. For Highball & Harvest call 407-393-4648. Don’t forget to book your room. 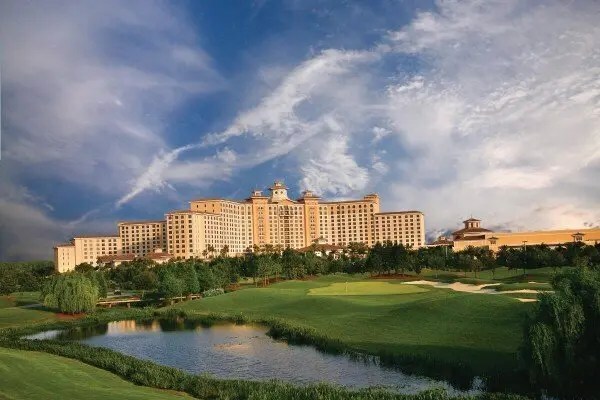 ^ At the beautiful Rosen Shingle Creek Resort, the Valentine’s Day package includes stay in a spacious guestrooms with premium linens and bath amenities, champagne and fresh chocolate strawberries upon arrival, breakfast in bed, private poolside cabana and a special discount at their various dining outlets, luxury spa treatments and golf. A romantic dinner at A Land Remembered is a must. 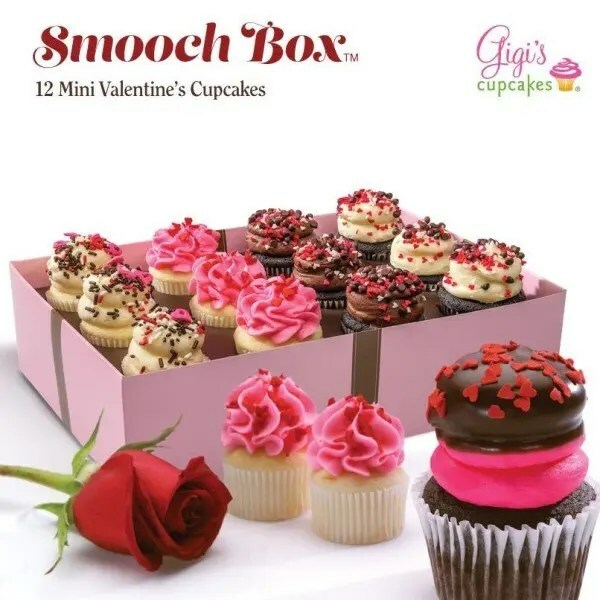 If dining out on Valentine’s Day is not your idea of romantic night out, why not stay home and cook a delicious gourmet meal of your own with these tasty Valentine’s treats? ^ Ravenous Pig & Cask & Larder’s James & Julie Petrakis newest venture, Swine & Sons Provisions is due to open later this Spring but that doesn’t stop them from offering a Valentine’s Day Box for Two including a bottle of Cask & Larder Public House Red Wine, Truffled Duck Rilettes, Chicken Liver Mousse, cured pork loin, Brillat Savarin tart, pickled root vegetables, champagne-macerated strawberries, chocolate Cremeux with Chantilly, pistachio macarons, and mini madeleines for $60. Available for pick up at Cask & Larder on Friday February 13th. Call to order 321-280-4200. Click here for more information. 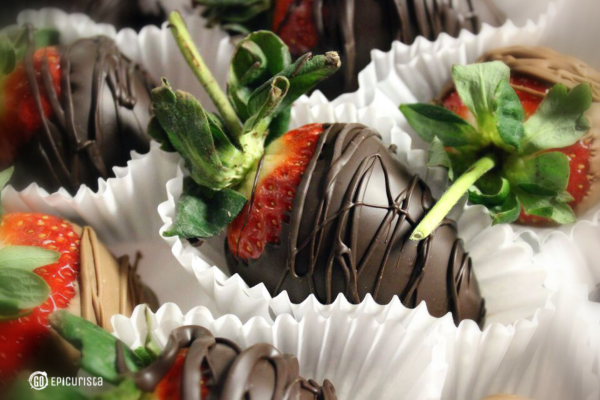 ^ The Fresh Market’s Sweet Meals package offers a filet mignon and lobster dinner including two sides, a dozen chocolate dipped strawberries and a dozen roses for only $49.99. Valentine’s is not complete without sweets. If your sweetheart has a sweet tooth, pick up some deliciousness at my favorite sweet spots in town and win his or her heart forever! 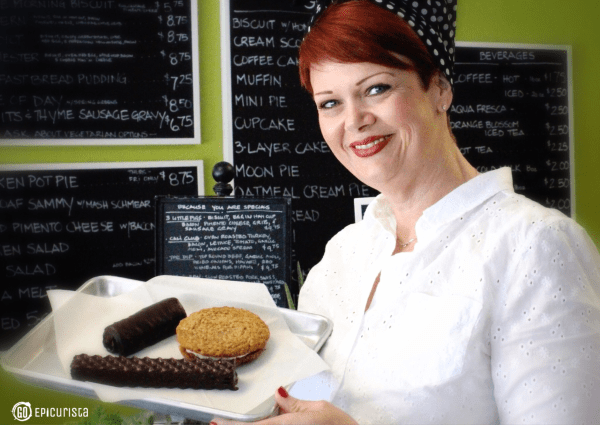 You must GO see Trina at Se7en Bites for the most incredible treats! ^ Food Network Cupcakes Wars champ, Jillian Hopke’s JillyCakes inventive cupcake flavors, including savory ones, change daily but one thing is certain, they are all amazing! 125 N Orlando Ave, Orlando FL. 863-797-4233. 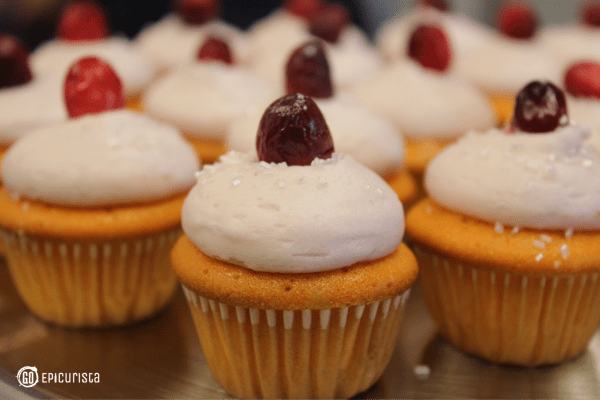 Read all about The Jillycakes Cupcake Craze. There you have it. Plenty of options for fun, romantic, delicious events to celebrate Valentine’s Day in Orlando. Where will you choose to celebrate the holiday? 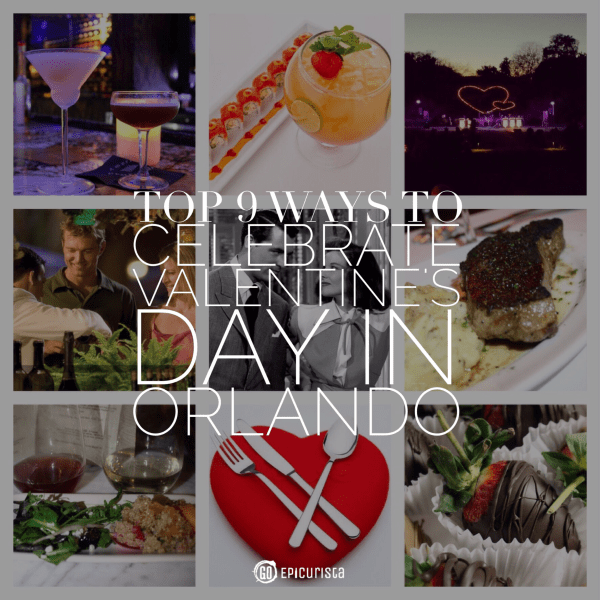 Oh, and if you feel like giving Valentine’s Day a makeover, read this post and choose to celebrate Valentines’s Day in Orlando with friends instead. Wishing you a delicious Valentine’s Day! But how to choose? They all look so good! I know! 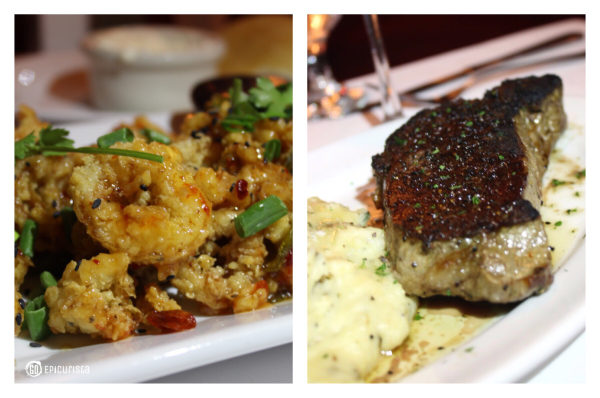 So many great choices in Orlando, I think we should celebrate Valentine’s Day all month! Thanks for stopping by Go Epicurista Katie! Cheers!